Dana Johnson, a native Texan, finds her source of inspiration in the Ozark Mountains and the experiences she has when meeting the interesting people that live in the area. “What better visual than the Ozark Mountains when I “plein air” she says. Johnson uses multiple mediums and the subject matter dictates whether it will be oil, pastels, or watercolor. Johnson offers art classes for all ages and levels of abilities. “I want my students to see by working with the negative space and see color by understanding values” says Johnson. Johnson describes herself as “self-taught” but has some formal training. She was also mentored by artist and teacher, Jo Rowell. 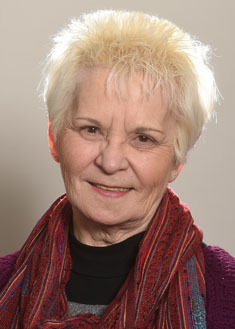 Currently, Johnson is the President of The Palette Art League and the Area Art Club. She also serves as Vice-President of the White River Artists and is on the board of the Ozark Regional Arts Council. Johnson’s artwork is featured in numerous galleries and private collections in the United States and European countries and included in “Art with a Heart Animal Book. Her artwork is available for purchase online at www.paletteartleague.org and www.danajohnsonsart.com or at her gallery.